There are many ways to plan for your inevitable demise -- picking out a casket, choosing your burial plot and buying appropriate amounts of life insurance; however, one of the simplest measures to take is making sure your dependents receive a social security death benefit. These funds are automatically garnished from your paycheck, turned into credits and put into a fund at Social Security. Then, upon your death, if you and your dependents are eligible, your family will receive some funds on which to live. Also called Survivors Benefits, these monies are awarded to surviving spouses and minor children (and parents in certain circumstances) whose loved ones earned a minimum amount social security credits during their working years. The number of years you need to work for your family to be eligible for survivors benefits depends on your age when you die. The younger you are, the fewer years you need to work. However, you don't need any more than 10 years of work (which equates to 40 credits) to be fully insured for benefits. Lump Sum Death Benefit: This is a one-time payment from Social Security given to the next of kin or beneficiary. As of January 2008, that amount was $255, and only one payment per family is allotted. Monthly payments: Besides the lump sum benefit, Social Security may also disperse monthly payments to eligible spouses and children. The death benefit is equal to what your Social Security benefit will be when you retire. For example, if you die after you reach full retirement age, your spouse can receive a death benefit up to 100 percent of your basic Social Security benefit. However, if your spouse has not yet reached full retirement age at the time of your death, he or she will only receive anywhere from 71 percent to 94 percent of your basic benefit. Your spouse will automatically 75 percent (no matter of their age) if he or she is caring for a child under age of 16.
Who is Eligible for the Survivors Benefits? There are clear rules as to who can and cannot receive Survivors Benefits. 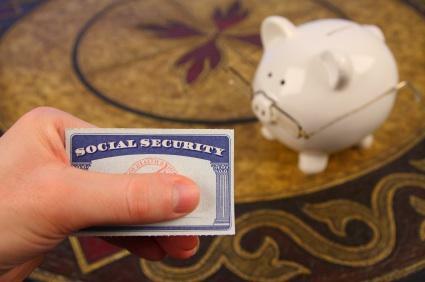 For a complete list or if you have any questions, you best bet would be to contact Social Security. Dependent children of a parent (or in some cases grandparent) who died may also receive Social Security death benefits. If a person receiving Survivors Benefits dies, you must contact Social Security immediately to stop payments. If you willingly accept payments that are not due to you, you can be fined and will be required to return the money. Also, if you receive a pension which you did not pay into with Social Security taxes, your Survivors Benefits will be reduced; you cannot collect both types of benefits at the same time. For more information regarding Survivors Benefits, check out the Social Security Web site or call (800) 772-1213 request a copy of publication SSA Publication No. 05-10084, August 2007, ICN 468540.